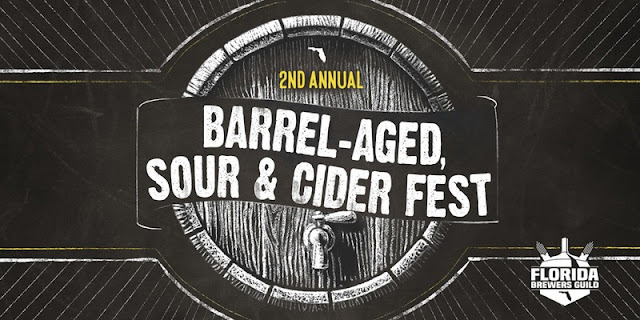 If you love beer, and words like “Barrel-Aged,” “Brettanomyces,” “Lactobacillus,” and “Weisse” send your taste buds into a frenzy, the 2nd Annual Florida Brewers Guild Barrel-Aged, Sour & Cider Fest hosted by Intuition Ale Works is where you want to be Saturday, November 12. OK, that’s a mouthful, so let’s break it down. 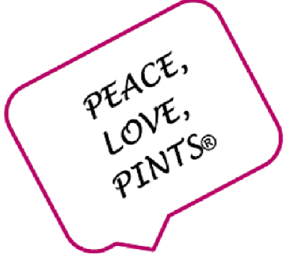 What: It’s a beerfest featuring approximately 65 specialty beers — barrel-aged (oak, bourbon, rye, whiskey) beers and sour beers (wild yeast and bacteria produce flavors of “funk” and/or sour flavors). These styles of beer are soaring in popularity, as they present different and non-traditional flavor profiles. Ciders (typically dry or fruity) will round out the beverage list. Where: The fest will take place at Intuition Ale Works, 929 E. Bay St., in downtown Jacksonville from 2-5pm (early 1pm entry for VIP ticketholders). Intuition also hosted last year’s fest — at its Riverside location. With the opening of the new downtown brewery and tap room, the Second Annual Fest promises to be even bigger. trade association committed to preserving the rights of craft brewers throughout the state. The FBG generally holds two major beer festivals during the year, with the first taking place in the Spring in Tampa just ahead of the Best Florida Beer Championships. Monies raised by the beerfests benefit the FBG in its efforts to represent the interests of craft brewers in Florida. Florida breweries from all across the state participate in the Fest. As of this writing, the breweries include: Aardwolf Brewing Co. (Jax), Barley Mow Brewing Company (Largo), Barrel of Monks Brewing (Boca Raton), Cigar City Brewing (Tampa), Concrete Beach Brewery (Miami), Coppertail Brewing Company (Ybor City/Tampa), Due South Brewing Co. (Boynton Beach), Engine 15 Brewing Co. (Jax/Jax Beach), First Magnitude Brewing (Gainesville), Funky Buddha Brewery (Oakland Park/Ft. Lauderdale), Green Bench Brewing Co.(St. Pete), Infinite Ale Works (Ocala), Intuition Ale Works (Jax), Marker 48 Brewing (Weeki Wachee), M.I.A. Beer Co. (Miami), Orchid Island Brewery (Vero Beach), Proof Brewing Co. (Tallahassee), Rapp Brewing Company (Seminonle), Six Ten Brewing (Tampa), Swamp Head Brewery (Gainesville), Tampa Bay Brewing Company (Tampa), The Hourglass Brewery (Longwood), Tomoka Brewing Company (Port Orange), Two Henrys Brewing Company (Plant City), Wynwood Brewing Company (Miami), and Zeta Brewing Co. (Jax Beach). Each brewery will typically offer 2-3 different beers, with Intuition Ale Works pouring 11 beers. The collaboration beer, Soured Society, brewed by the Jax area breweries for Jax Beer Week in September, will also be on tap. According to Melissa White, Executive Director of the FBG, the beer availability is generally split between barrel-aged and sours. How: Entry to the fest is by ticket only (ages 21+). The ticket includes unlimited beer and cider tastings, a souvenir tasting glass, and FBG sticker and koozie. Get a VIP ticket and get in an hour early, at 1pm, along with a complimentary event t-shirt by FBG member Trinity Graphics (St. Pete). Tickets are $35 for General Admission ($40 at the door), $50 for VIP (limited to 75), and are available here. And, in honor of Veterans Day, all Military personnel get 50% off the ticket price: just enter code “USOjax” when ordering your ticket, and present your Military ID at the Fest check-in. Your ticket purchase will help the FBG continue to support Florida craft breweries. The FBG “hope[s] to continue to increase awareness of the Florida Brewers Guild – and our amazing community of craft breweries,” says Melissa. Get ready to get your funk on and pucker up at this year’s Barrel-Aged, Sour & Cider Fest!